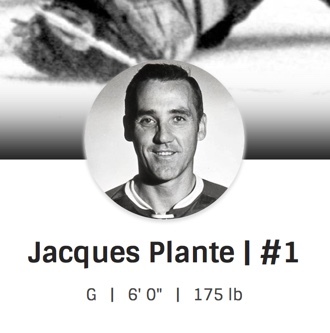 Google Canada has been showcasing Jacques Plante today atop its search page, backing it up (here) a broad overview of his career that’s worth a browse, if mostly for the George Silk photographs that illustrate it. 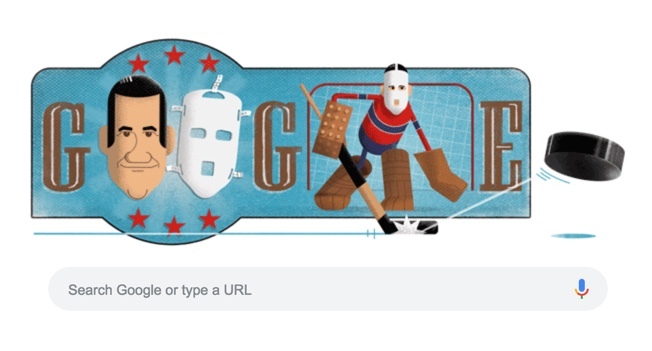 Those, from Life magazine’s archive, depict Plante as he looked (reversed Habs logo notwithstanding), which I’m not sure Google’s daily doodle quite manages. 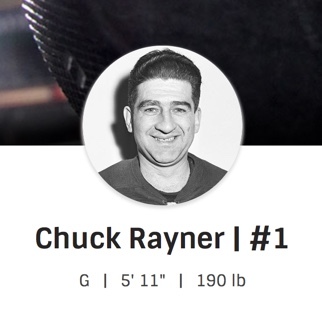 I’m not complaining — even in error (mask and bleu, blanc et rouge aside), Google’s gesture makes for a perfectly adequate salute to Chuck Rayner’s Hall-of-Fame career in the New York Rangers’ net. 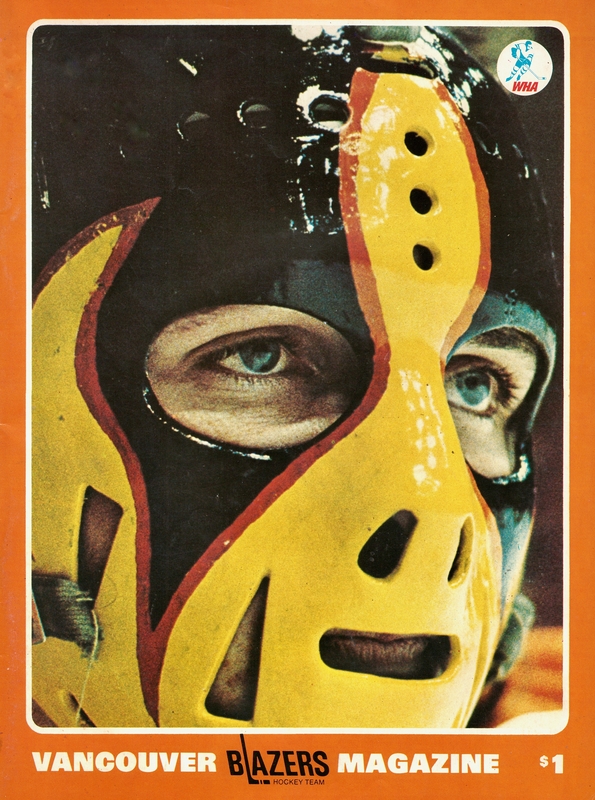 Face Time: The WHA’s Blazers made a home in Vancouver for two seasons in the early 1970s, neither of which was particularly successful. 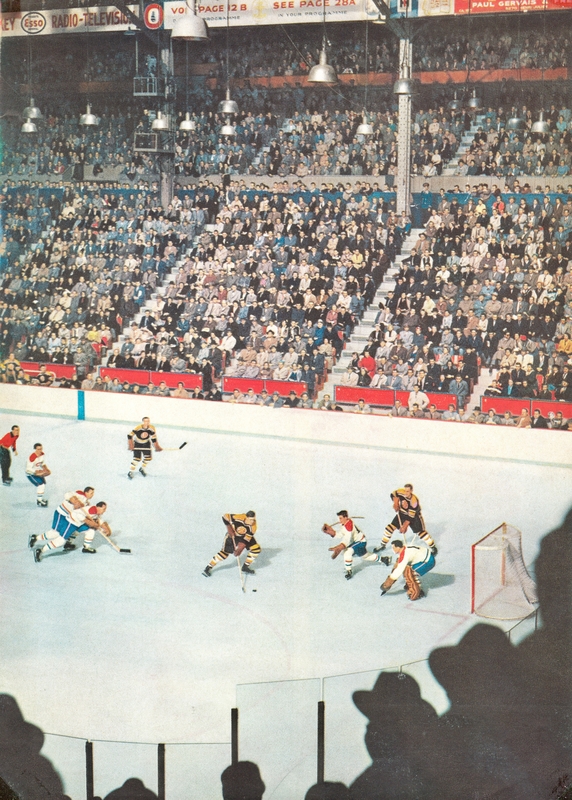 (Pre-B.C., the franchise played a year in Philadelphia; afterwards, they transformed into the Calgary Cowboys for two final campaigns.) In 1973-74, the four goaltenders who shared the guard of the Vancouver nets included Pete Donnelly and George Gardner. In 1974-75, the man pictured here mostly took over, Don McLeod, playing a league-leading 72 games over the course of the season while allowing 233 goals (also tops among his peers). 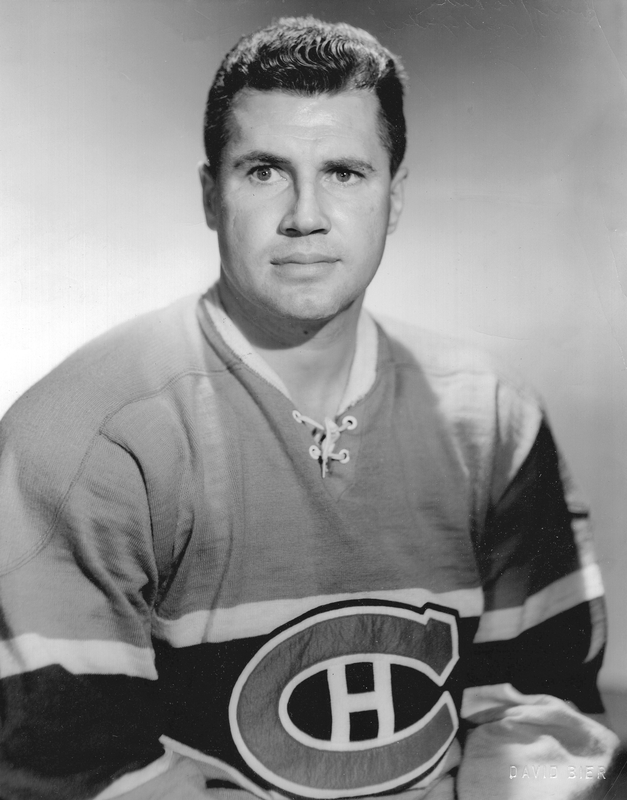 Nobody’s goals-against numbers were exactly stellar in the high-scoring WHA that year: Ron Grahame of the Houston Aeros led the pack with 3.03 average, while McLeod (3.34) finished tenth-best, just back of Edmonton’s Jacques Plante. 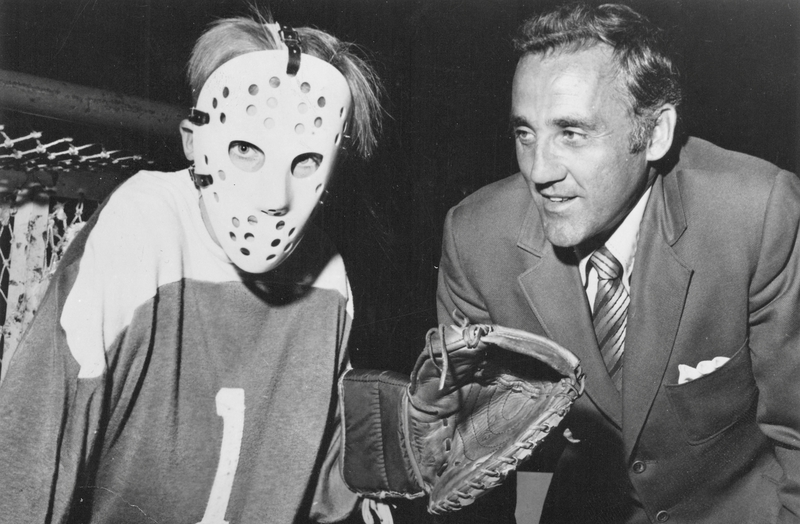 Maskmaster: Today’s the day that Jacques Plante decided that he’d had enough. 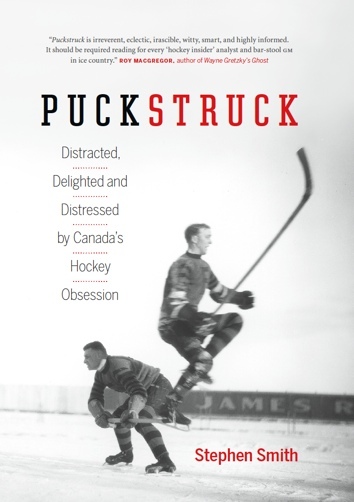 It was in 1959, of course, that Andy Bathgate of the New York Rangers vengefully shot a puck that cut the Montreal goaltender’s face. 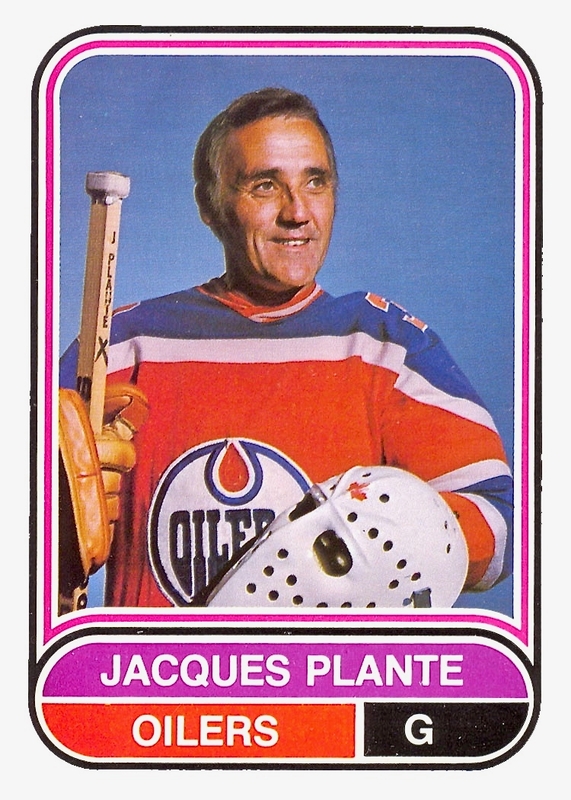 Blood stanched, wounds stictched, Plante said he’d only return to the ice under the protection of the mask he’d been wearing in practice. Canadiens’ coach Toe Blake didn’t like it, but he agreed; the New York fans sang “For He’s A Jolly Good Fellow” as Plante regained the net. 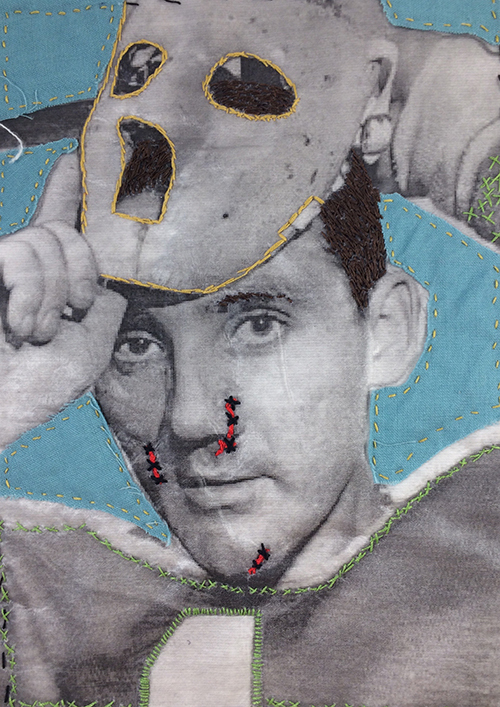 Showing here, on the anniversary, is Nadine Arsenault’s vivid hand-embroidered thread-and-textile portrait of Montreal’s iconic trailblazer. 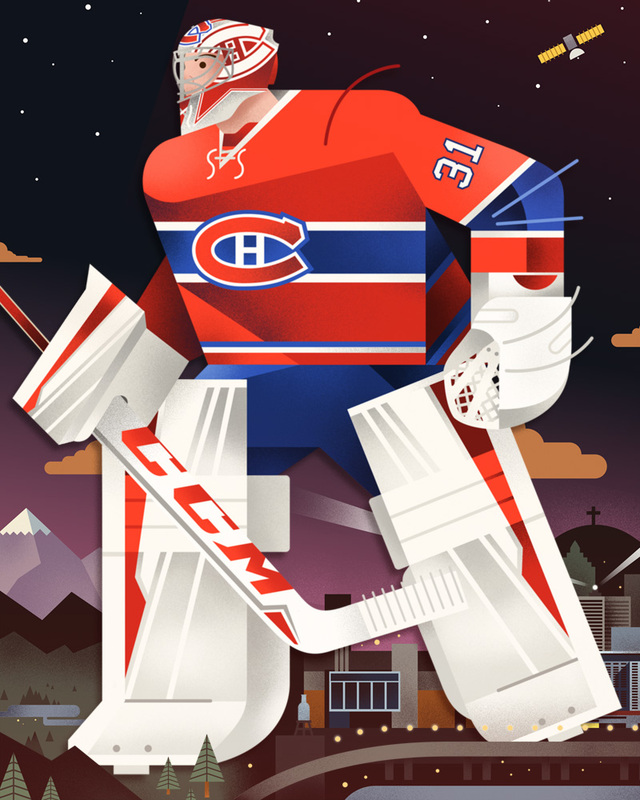 A Toronto editorial designer and illustrator, Arsenault exhibits her hockey portfolio at www.nadine.design.